Bushra has been living and working in London since 1979 and exhibits regularly with a number of galleries in the UK & USA. 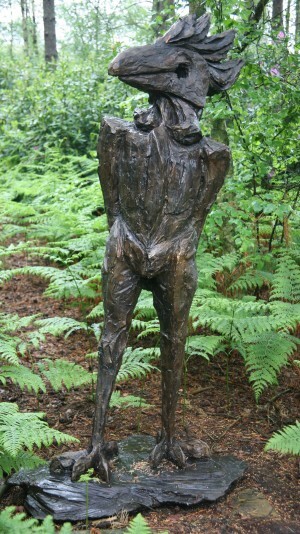 She undertakes commissions and large public sculptures. She was privileged to have lived in exotic countries, such as Ivory Coast, France, Kenya and Lebanon which had a great influence on her work. Fakhoury started sculpting at the very early age of 7 at the convent where she was taught to use marzipan to create flowers and animals. Bushra Fakhoury studied Art and Education in Beirut and at London University where she obtained her PhD in Art-Education in 1983. Her themes and subjects range from human to animal figures, merging in some works into surreal figures of myth, fable, fantasy and humour. Bushra Fakhoury’s work has deep roots in the Hellenistic culture of the Levant, but has also leans to the neo-expressionist art of Europe. Her work shows a steady search for dynamic form, often ironic and grotesque, but invariably opulent and vehement. 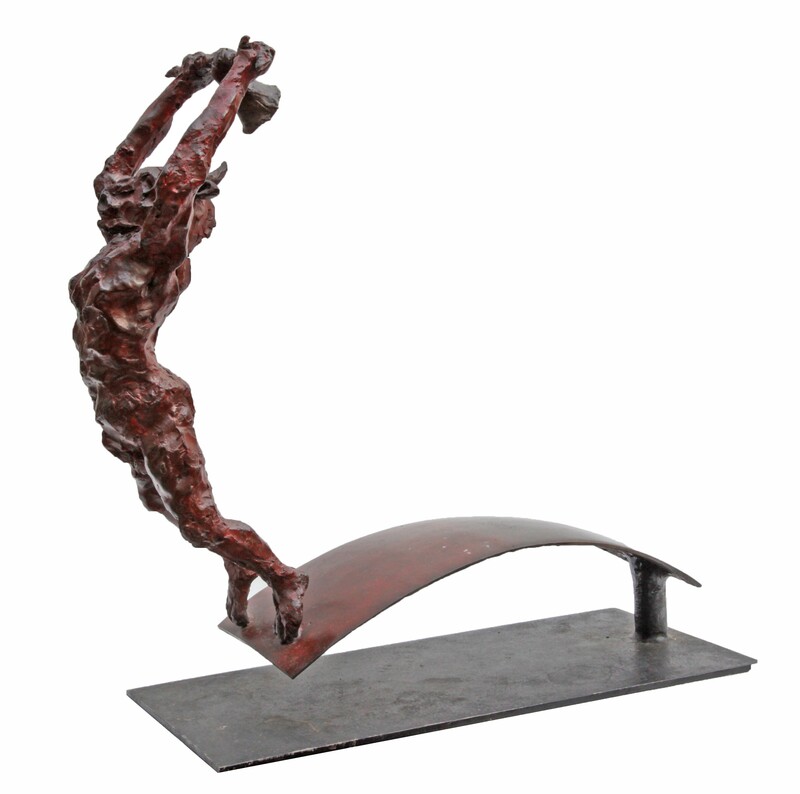 The figures scroll, run, struggle or dance and seem to be engaged in a perpetual effort to defy gravity. At the same time, it is well-contained within the norms of stylistic discipline which allows the artist personality to emerge clearly within self-imposed boundaries. 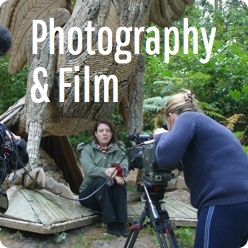 Exhibits regularly with a number of galleries in the UK & USA. 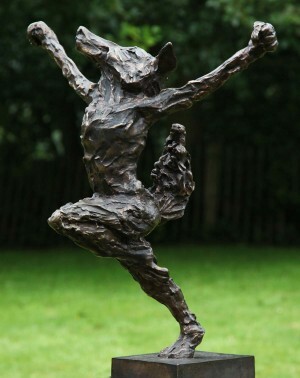 She undertakes commissions and large public sculptures.